Women trust dating advice from a gay male friend more than from straight colleagues or friends because gay men have fewer ulterior mating motives, a significant research has revealed. Also, women are more likely to trust and befriend gay men when they are in a highly competitive dating environment, such as a university with more female students than male students, the findings showed. 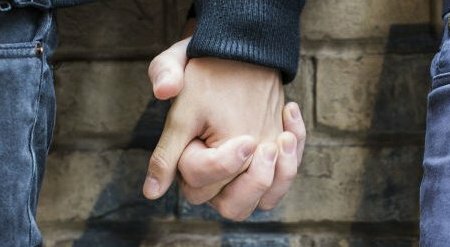 “This provides novel experimental evidence that there is more to the gay male-straight female friendship than just what we see on TV – certain social psychological processes are, indeed, driving these relationships in real life,” explained Eric Russell, the paper’s lead author from the University of Texas at Arlington (UTA). The findings shed new light on why many heterosexual women develop close friendships with gay men. To reach this conclusion, the research, which comprises four separate studies, involved nearly 700 heterosexual female students at a major public university in southwestern US. The first study involved 167 women evaluating mock social media profiles of either a straight woman, straight man or gay man. It demonstrated that the women placed greater trust in a gay man’s advice about a potential mate. The second study of 272 women showed that they perceived a gay man to be more sincere than either a straight male or a straight female in scenarios in which the women were told potentially deceptive information that could lead to competition for a mate or a sexual encounter. In the third study involving 128 females, the results revealed that the article describing the increase in mating competition enhanced the straight women’s trust in a gay man relative to another woman. The fourth study included 129 women and showed that when the women perceived heightened levels of mating competition, they were more open to forming friendships with gay men. “Together, these converging findings provide novel insights into previously unidentified contexts that facilitate the formation and strengthening of this unique bond,” the authors noted. “These studies are both timely and important because of the recent seismic shift in public opinion in support of equal rights and acceptance of gay individuals,” added Dr William Ickes, a UTA distinguished professor of psychology in the study that appeared in the journal Archives of Sexual Behavior.